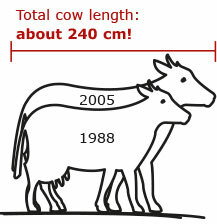 → They need more space in the cattle house! no overstocking → better: a few more cubicles than cows! 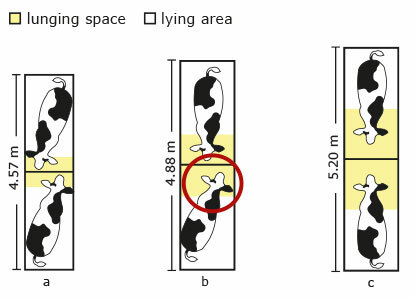 The length of the cubicle determines whether the cow will lie down straight or diagonally. Also important: sufficient head space and well-positioned neck rail! Take social behaviour into consideration! Generally: shiny bars are a bad sign for too much cow contact!